Bridging loans are a type of short-term finance, which offer a temporary funding solution when other types of borrowing are not available or appropriate. Loan terms for bridging finance can be as short as required and usually go up to a maximum of 18 months, although longer terms may be available depending on the circumstances. Bridging loans tend to come with flexible repayment terms, meaning you can usually repay early if required. Can you get a bridging loan for 12 months? Loan terms of twelve months on bridging finance are perfectly possible. For residential bridging 12 months is the maximum term. To get a bridging loan, you normally need to specify an exit strategy: explaining exactly how you will repay the loan. This exit strategy may give a specific date for repayment e.g. if you have sold your home and exchanged contracts and are simply waiting to complete. Alternatively, your exit strategy can be open, meaning you specify the means of repaying the loan, but not the exact date on which it will happen. How much will a bridging loan for 12 months cost? The shorter the loan term, the less you will pay in interest and therefore the cheaper the bridging loan will be. Our free bridging loan calculator can help you find the lowest interest rates and fees on a bridging loan for 12 months. You simply need to share some basic information about your borrowing needs and financial situation and we will do the rest, showing you the best deals from across the market. Need a bridging loan for 12 months? Get in touch with our friendly expert team of loan brokers using the contact form on the right or by calling 0117 313 6058. To discuss your bridging loan requirements contact us today on 0117 313 6058. 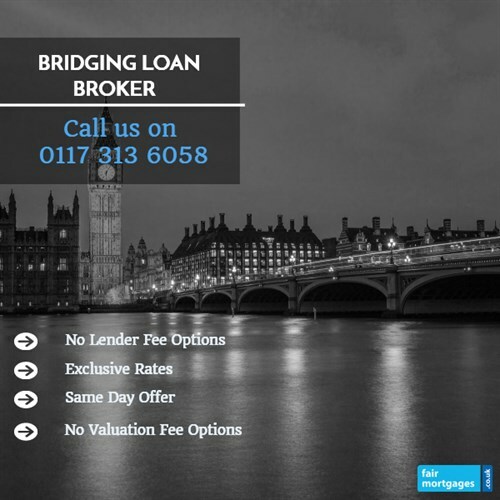 Call us for a FREE initial conversation on 0117 313 6058 about 12 month bridging loan options or request a callback.